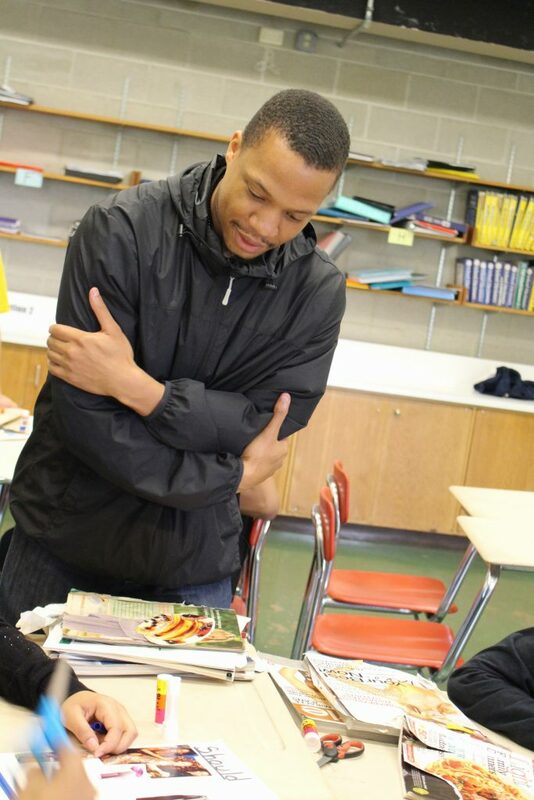 Deshaun Ferguson, Educator at KBEP, assists students with project that helps breaks down stereotypes. The Katie Brown Educational Program has been chosen by the National Health Resource Center on Domestic Violence to present at the National Conference on Health and Domestic Violence (NCHDV). The conference will be held in San Francisco, CA from September 26-28, 2017. The National Conference of Health and Domestic Violence affords industry experts the opportunity to convene and share emerging research and knowledge of best practices for domestic and sexual assault prevention and intervention. Our participation in this conference is vital to the development of our ever growing program. Participating in this conference will bring national attention to the work that KBEP does to make our communities safer and free of violence. However, participating in such a prestigious conference is costly, and our funds are limited. This summer we invite you to help sponsor a KBEP Educator’s tuition and expenses for this conference. With your generous financial support, we hope to raise $5000 to aid in sending our Education staff to this noteworthy conference. Connect with us through our website, Facebook, Twitter, and Instagram to get to know more about our program and Educators. 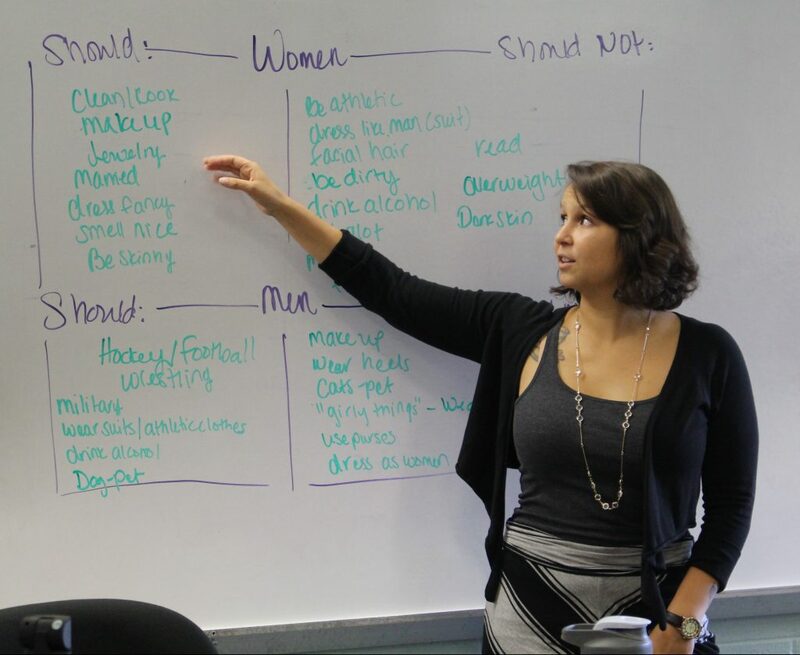 Jasmine Torres, KBEP Educator, helps students navigate through the challenges of gender stereotypes. As you learn more about the integral part we play in relationship violence prevention, we hope that the decision to help “sponsor an educator” will be an easy one. Donations can be made securely by visiting our donation page, here. All donations received will be acknowledged on our social media and website. To learn more about the Katie Brown Educational Program please visit us on the web, social media, or contact a KBEP staff member at 508-678-4466. ← 15th Annual Golf Tournament is a Success!